KKN International Succeed for The Ten Times. September 25 -The University of Muhammadiyah Yogyakarta (UMY) this year hosted 10th Learning Express. 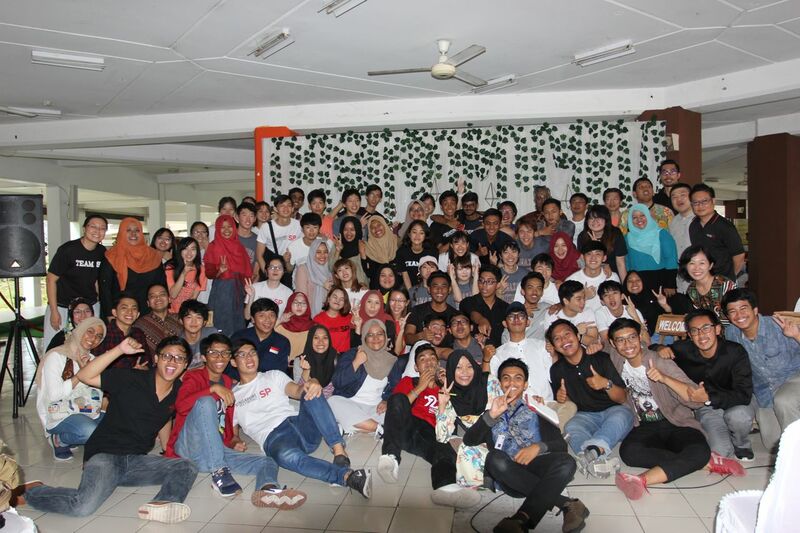 The program is a collaboration with UMY and Singapore Polytechnic (SP) followed by Kanazawa Institute of Technology from Japan on 10 to 21 September. This program is similar to the community service which is a form of social service in Indonesia, so that the activities that will be conducted in this program focus on community development. Vice Rector for UMY Academic Affairs, Sukamta, said the program will conduct field activities in the Dlingo area of Bantul. Namely in the area Kebosungu for tourism issues, Pakis for waste management issues wooden crafts, and Koripan for production Garut Emping. Sukamta added that learning expres activities will continue to continue considering the participants are very enthusiastic when following the community programs. Because people feel helped by the ideas given by the participants. A total of 66 students joined the international community (learning express). Various activities are provided by the University including cooking competitions, visits to Jogja City Mall, Borobudur, Lava Tour, Malioboro,Merapi Cokelat Tugu , Batik Roro Jongrang and site visit to Tembi Rumah Budaya and experienced planting rice there.